A lawsuit against Kim Kardashian has been dismissed. 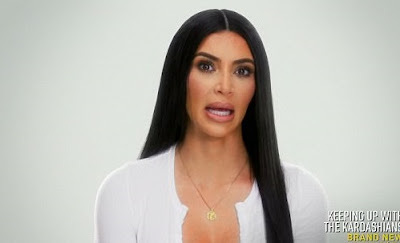 Insiders told TMZ that the reality star's insurance has paid out on an accident from 2014 on the Sunset Strip and that Kim will not have to pay for damages out of pocket. The lawsuit filed by Rafael Linares was seeking unspecified damages from the Keeping Up With The Kardashians star. Linares claimed in court documents that he 'sustained personal injuries which caused and will continue to cause pain, discomfort, and physical disability'. He was seeking financial compensation for past and future medical expenses and reimbursement for the repair of his vehicle. Linares also was seeking money for the costs associated with the 'loss of use' of his vehicle. Linares also seeked compensation for his 'loss of income' and the cost of litigation. Kardashian was driving her Merecdes G Wagon along Sunset Boulevard and was turning left at an intersection when the collision occurred. An eyewitness said the other driver was going in the opposite direction and continued driving straight through the intersection after allegedly indicating a right turn. Both vehicles appeared to suffer minor damage and no tickets were issued by authorities. But then, he sued. Lol.